JAMES Budd collected a couple of good scalps in the Pink Ribbon charity pro-am in Gloucester ahead of his trip to Germany later this summer. The 21-year-old from Fareham lost his first life 3-0 to Chris Rice (Newbury) but was only knocked out by a professional in his second entry. He overcame ex-pro Adrian Rosa (Cannock) 3-2 and beat Adam Edge (Nuneaton) by the same scoreline before going out 4-1 to world number 57 Gary Wilson in the last-64. “I was pleased to win against some top players and enjoyed taking part in this annual charity event,” he said. 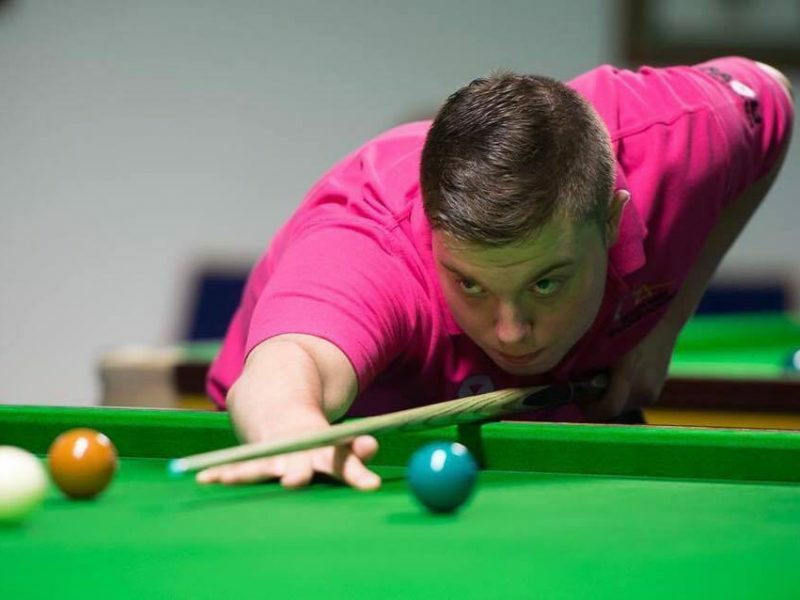 Budd, who won the 2014/15 Cuestars Gold Tour championship play-off and competed on the EASB Premier Junior Tour last season, has entered the amateur qualifying rounds of the Paul Hunter Classic in Germany in August. The Pink Ribbon is held at the South West Snooker Academy in aid of breast cancer charities. Players can enter twice, once in the top half of the draw and once in the bottom half.